Jerusalem (AFP) - Prime Minister Benjamin Netanyahu defended the Israeli army Sunday as controversy gripped the country over a soldier caught on video shooting a Palestinian assailant in the head as he lay on the ground. The issue reportedly sparked a bitter argument behind closed doors at the Israeli government's weekly cabinet meeting on Sunday. Thursday's shooting incident led to the soldier's arrest and strong condemnation from military officials, but some rightwing politicians and their supporters have reacted angrily to the response. Netanyahu on Thursday joined condemnations of the soldier's behaviour but appeared to backpedal slightly Sunday in remarks at the start of the cabinet meeting. "Any challenge to the morality of the IDF (Israel Defence Forces) is outrageous and unacceptable," he said. "The soldiers of the IDF, our children, maintain high ethical values while courageously fighting against bloodthirsty murderers under difficult operational conditions. "I am certain that in all cases, as in the current one, the inquiry takes into account all conditions. We must all support the IDF chief of staff, the IDF and our soldiers, who safeguard our security." Netanyahu leads one of the most rightwing governments in Israeli history but holds only a one-seat majority in parliament. Video from Thursday's incident in Hebron in the occupied West Bank spread widely online and threatened to further inflame tensions amid a wave of violence that erupted in October. 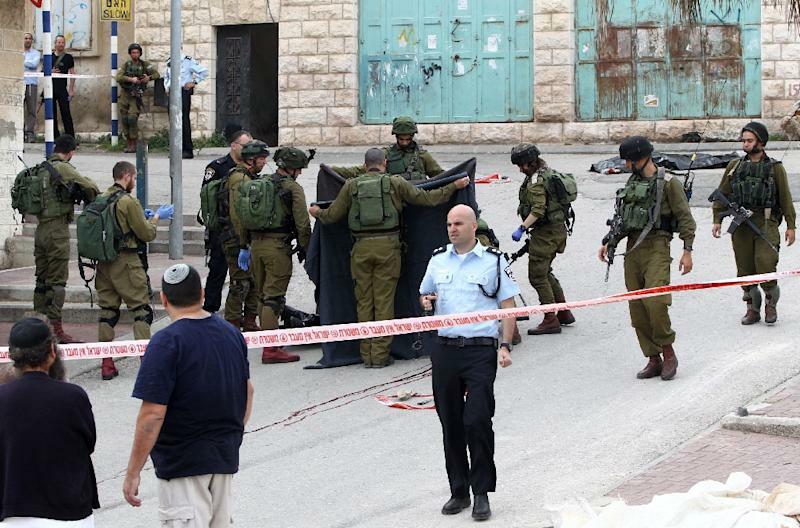 It showed a 21-year-old Palestinian, who along with another man had allegedly stabbed a soldier minutes earlier, lying on the ground, apparently after being shot. The soldier then shoots him again, in the head, without any apparent provocation. 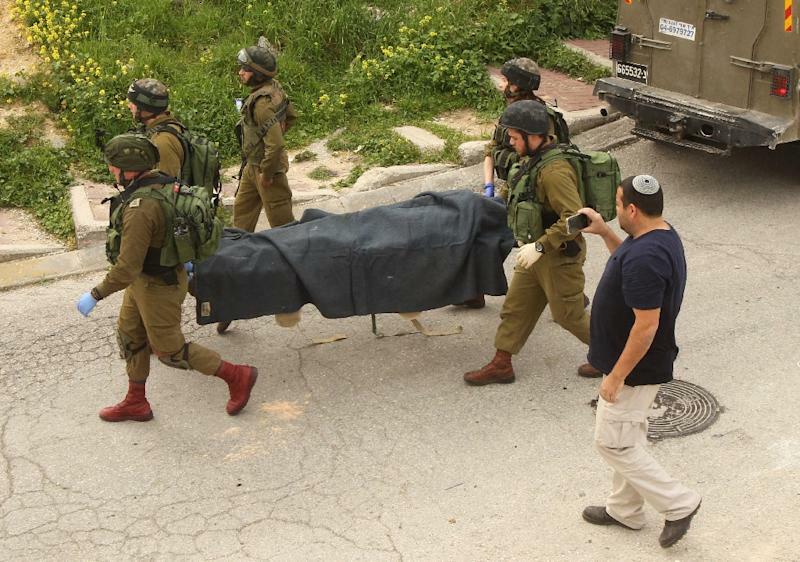 The Palestinian, Abdul Fatah al-Sharif, was killed. Sarit Michaeli, a spokeswoman for Israeli rights group B'Tselem, which posted the video, called it an "execution". The UN's special coordinator for the Middle East peace process, Nickolay Mladenov, called it "a gruesome, immoral and unjust act". The soldier was detained, and Defence Minister Moshe Yaalon vowed that the incident would be treated with "utmost severity". But far-right politicians, including Education Minister Naftali Bennett, have defended the soldier, while members of his family said he was being publicly "lynched" and would not receive a fair trial. Bennett questioned whether the soldier thought the Palestinian had explosives on him, though there were reports that he had already been checked for a suicide belt before the shooting. "The soldier is not a murderer," Bennett wrote on his Facebook page. "Have we lost our minds? We are at war, a war against brutal terrorism." In an apparent response to Bennett's remarks, Yaalon lashed out against "ministers and members of parliament" conducting an "unprecedented incitement campaign against the army, chief of staff, and senior commanders." Politicians offering unconditional support to the soldier were motivated by "populist" considerations "at the price of harming the military, as well as Israel's national resilience," Yaalon said. 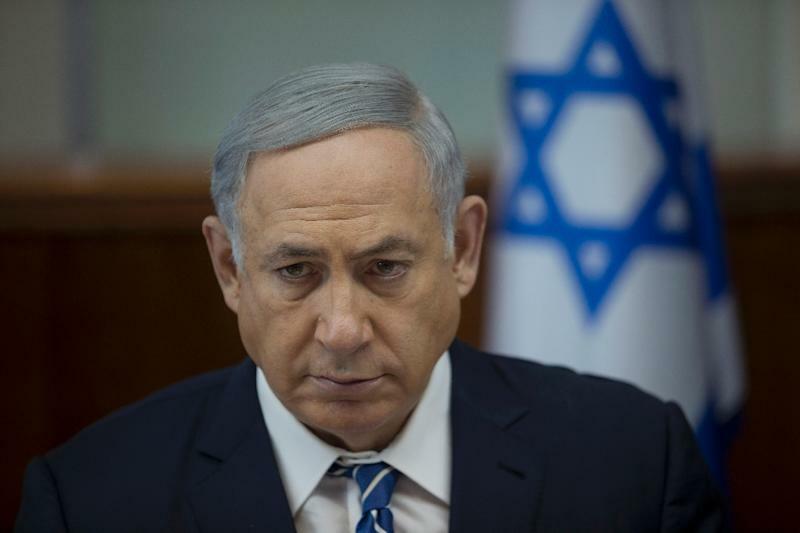 Israeli media reported that Netanyahu clashed with Bennett over the issue at the cabinet meeting. Several dozen people protested to call for the soldier's release over the weekend, Israeli media reported, while posters were seen calling for military chief of staff Gadi Eisenkot's resignation. An online petition meanwhile called on Netanyahu, Yaalon and Eisenkot to award the soldier, garnering more than 42,000 signatures by Sunday afternoon. "This soldier, an Israeli hero, had to shoot the terrorist dead to prevent even the smallest threat to his life and that of his comrades, therefore he should receive a citation and not be arrested," the petition read. "If you don't intend on doing so, we, the citizens of Israel, hereby award him the Medal of Valour, Medal of Courage, and Medal of Distinguished Service," it read. Violence since October has left 200 Palestinians and 28 Israelis dead. But Israeli forces have also been accused of using excessive force in some cases, charges which they have firmly denied.